Figure out which is the best type of cargo liner for your vehicle. When it comes to choosing a cargo liner, you have quite the selection to pick from. So, how do you know which is the best cargo liner for you? When you choose one of the most-trusted brands in the biz, you know you can count on a cargo liner that’ll protect your interior and sustain a long life span. What’s the best cargo liner? 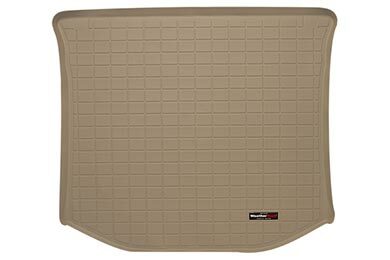 Brands like WeatherTech, Husky, Hexomat and Catch-All have earned their reputations as some of the most reputable names in the cargo mats industry. 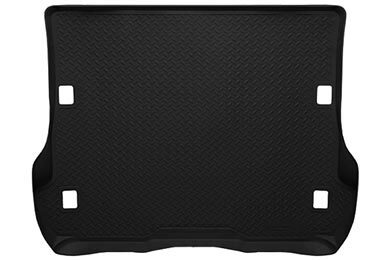 Each of these brands offer cargo liners that are custom crafted for your exact vehicle. Plus, the WeatherTech Cargo Liner is molded from an exclusive thermoplastic material that’s easy to clean. Husky Cargo Liners are made from an indestructible thermoplastic that boasts a treaded top to keep your cargo in place. And, the Intro-Tech Automotive HEXOMAT Cargo Liner boasts a unique honeycomb pattern that contains spills and moisture, so messes never reach your carpets. Choosing the best cargo liner is more than just choosing the best brand. You need to make sure you’re choosing a cargo liner that is designed to meet your specific needs. If you’re frequently traveling with your furry friends, you may want to opt for the Canine Covers cargo liner. It’s designed to keep dog hair, pet claws and messy accidents from ruining your interior. For plush comfort and extra style, check out the Lloyd Ultimat cargo liner. Or, for maximum defense against stains and spills, choose from our selection of all-weather cargo liners. If you’re still not sure which is the best truck liner for you, check out the customer reviews available on our site. We offer hundreds of reviews to help make your buying decision easier. Plus, we even have vehicle-specific reviews so you can know which liner fits and protects your vehicle the best. 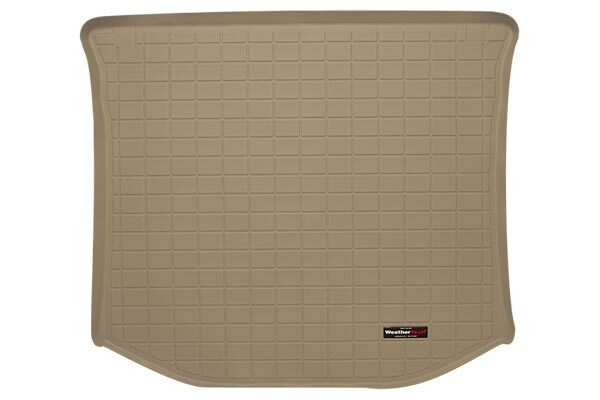 Find out what customers are saying about the 2011 Jeep Grand Cherokee cargo liner selection. Or, find out if the Husky RAV4 cargo liner provides a wall-to-wall fit. Looking for a Ford Edge-specific cargo mat or a Honda Pilot cargo liner? See whether other owners are opting for WeatherTech or Husky. The liner was sent in a timely manner. The color, which is tan, matches the tan interior very, very well. The cost is the only thing that I wish was cheaper. It’s nice to order something and have it arrive and install as it should. What a nice change. Reference # 754-004-108 © 2000-2019 AutoAnything, Inc.